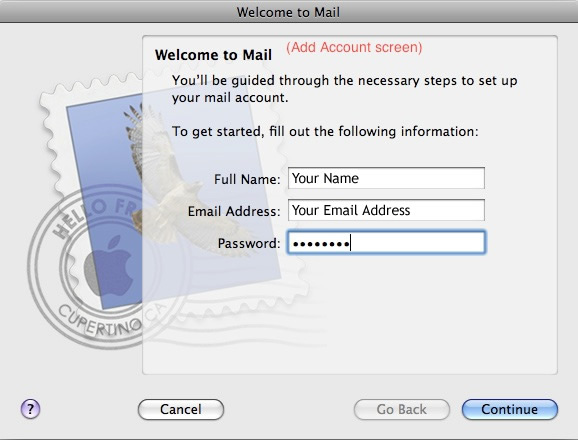 This document will help you to configure your Mac Mail (built-in MacOS X software) e-mail client to work with the mail.msu.edu e-mail system. If it is the first time you are setting up your account, a wizard will walk you through the steps. If the wizard does not appear you can open up the wizard by going to the File menu, then Add Account to launch the wizard. 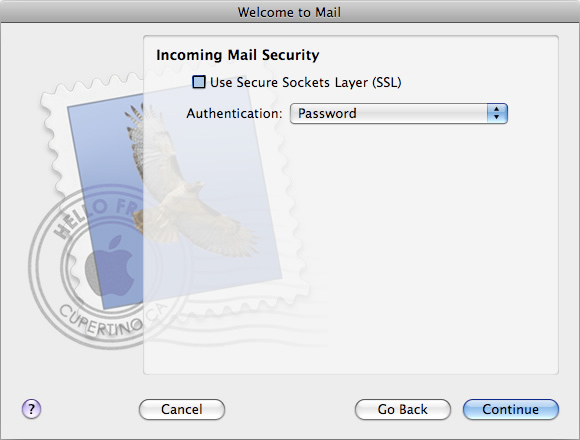 The Incoming Mail Security window will only show up if the attempt to detect the settings fails. If you do see it, enter the following information. Leave the box unchecked for Use Secure Sockets Layer (SSL). 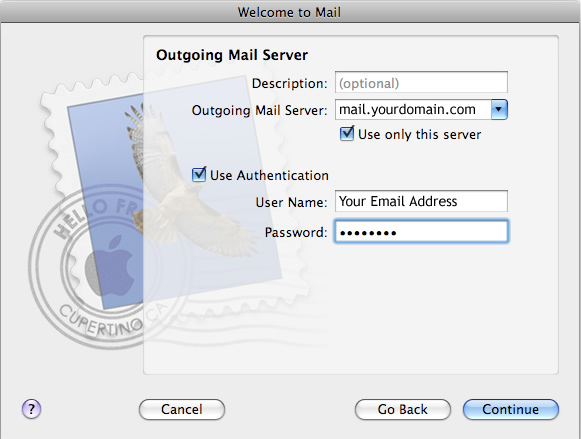 To configure the Outgoing Mail Server, enter the following information. Check the "Use only this server" box. The Outgoing Mail Security window will only show up if the attempt to detect the settings fails. If you do see it, enter the following information. Leave the box for Use Secure Sockets Layer (SSL) unchecked. This section summarizes the settings that you have made. It should look like the graphic below. 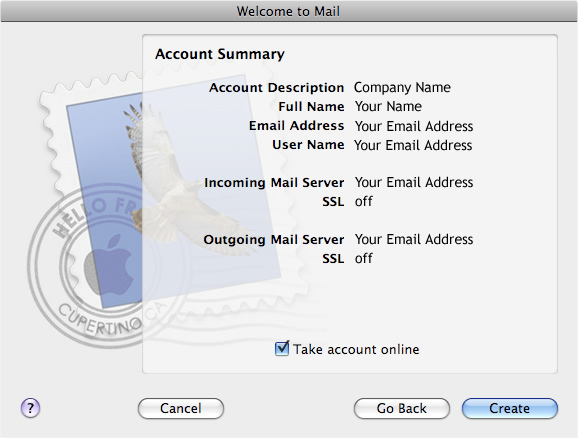 Check the "Take account online" box to receive mail as soon as you click Create. Secure Sockets Layer (SSL) is unchecked. 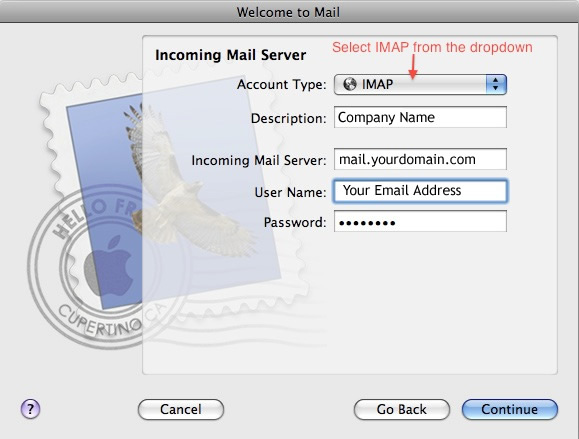 In the right-hand section, look for the Outgoing Mail Server(SMTP) dropdown. User Name and Password are your email address and password.